Is the key to attracting quality support staff down to more flexibility? There are lots of buzz terms around including ‘the war for talent’ and ‘employer branding’. In the financial services profession things are picking up and attracting quality people is tough, competition is fierce. How do you attract good people, other than using say just ‘employer branding’ or competing on salary? I think the profession needs to become less rigid and get more ‘flexible’ in order to attract good people. We live in an age now where modern technology allows us access to information 24/7; we have smart phones, tablets etc. We can work from home with remote access to CRMs and utilise cloud based systems. All this wasn’t available years ago, yet we still tend to adopt very much a 9-5 approach within the FS profession. 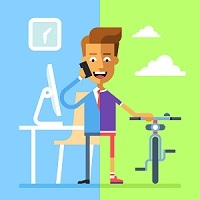 Another buzz term that has been around for many years is ‘work/life balance’ – this is becoming more important, however do people really want work/life balance in the sense they want absolute separation between work and their personal time or do they want the flexibility around being able to perform their job well as well as being able to tend to their personal stuff? Companies could look at offering more flexibility i.e. staggered or reduced hours, part-time/job share opportunities, the ability to work from home (not necessarily all week but maybe one or two days a week). With less and less ‘trainee’ opportunities available and most companies looking for relevant experience then we have to accept that the ‘experience’ sought comes from people who are at a stage in their lives where they have a greater need for work/life balance – these people need and want to work for their own self-worth and in the profession they have valid experience in – I’ve spoken to many people over the last few months who say they’d be happy to work over their contractual hours if there was more flexibility available as to when they actually work. Financial Planners…how many clients do you actually get to see face to face during 9-5 or do you accommodate client meetings outwith of these hours? Yet, in the main, there is insistence that support staff work in a rigid 9-5 arrangement when they could be carrying out their support function via use of cloud based systems/remote access/platforms say early evening after tending to their personal affairs. More recently some of our clients (knowing there is a paraplanning skills-shortage) have been more open-minded to taking on experienced paraplanners who are now part-time working mums and possible job-sharing to ensure that they engage the right quality skill-set even if that means fewer hours per week. In fact some have said they actually get more out of part-time staff who just get in and get the job done! We have to accept that nowadays many families rely on two income streams and both parents take responsibility for sharing the ‘family’ duties. By allowing a degree of flexibility you’ll benefit from happier & more loyal employees and remember, it’s not necessarily the hours you work it’s what you deliver/achieve in those hours.